The NRA is introducing a new Mid-Range Tactical Prone Match for AR platform rifles with bipods. Optics up to 12X will be allowed. 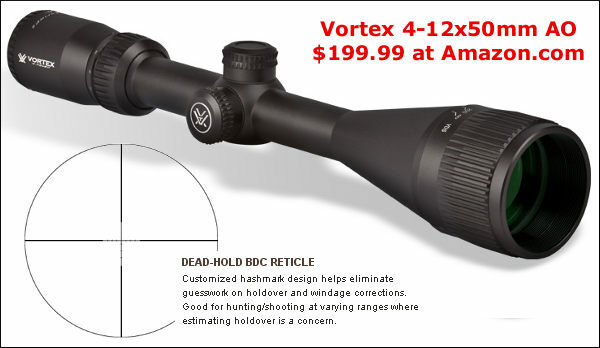 If you’re considering participating in this new Mid-Range competition, here’s a fine Vortex 4-12x50mm AO Crossfire II scope for under $200.00. This second-focal-plane scope features front parallax adjustment and a BDC reticle. Put the money you save on optics into a premium barrel and quality match trigger. We’ve featured this Federal AutoMatch .22 LR Ammo before, and this week it’s available from Gander Mountain. The $24.99 price works out to just 7.7 cents per round. This ammo is well-suited for plinking and general training in rimfire pistols and rifles, both bolt-action and semi-automatic. Even if you have a good set of calipers, you may want to get one of these Neiko 01407A Digital Calipers. The #1 best-selling digital caliper on Amazon.com, this Neiko tool features a large LCD Screen and measures up to 6.0 inches. With 1,500+ customer reviews, this product has earned an overall rating of 4.4 out of 5 stars. It’s hard to go wrong for $13.65, even if you just use these as a spare set for measuring group sizes and case trim lengths. 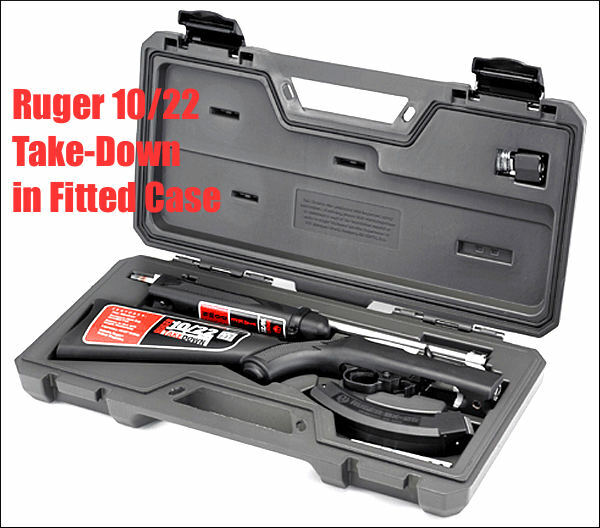 We like this special Ruger 10/22 Marine Take-Down Rifle Kit. It features a stainless barrel and action, and extended magazine. All the parts fit securely in a special molded hard case. If you’re look for a compact, durable, easy-to-transport rimfire rifle, this special edition Take-Down 10/22 could be exactly what you need. The complete kit sells for $340.99 at Cope’s Distributing. Share the post "Bargain Finder 21: AccurateShooter’s Deals of the Week"
CMP Heritage Match (Aug. 10) – 800 Aggregate event, 20 shots standing and 20 shots sitting at the 200-yard line, 20 shots rapid fire at the 300-yard line and 20 shots prone slow fire at the 600-yard line. CMP Critchfield 2-Man Team Match (Aug. 12) – 50-shot National Match Course of Fire. CMP Modern Military Rifle Match (Aug. 13) – 55-shot match fired at the 200-yard line. CMP Roosevelt Commemorative Match (Aug. 14) – 30-shot Krag/m1903 match fired at the 200-yard line. The theme “Legacy Series” was chosen to honor Camp Perry and those individuals who have helped shape the nation’s longest-running series of championship and recreational rifle events in America. The schedule above was chosen by the overwhelming majority of CMP competitors surveyed. 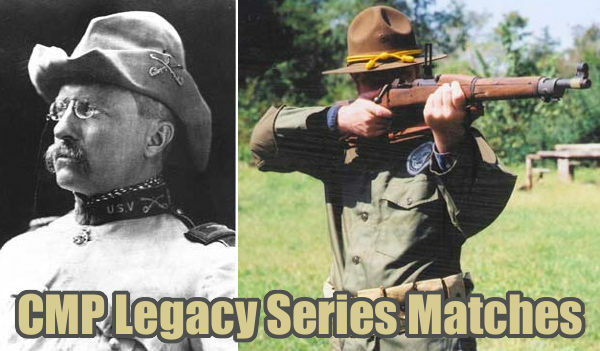 Of the 1,595 responses, 1,051 selected the CMP Legacy Series to conclude the 2016 National Matches. 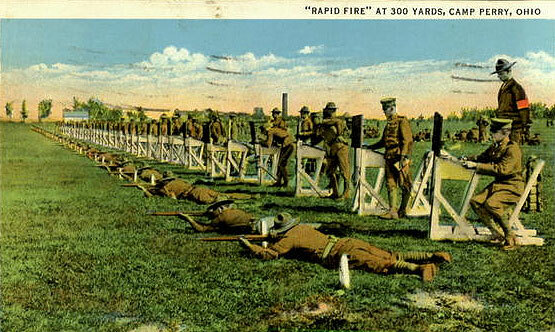 The CMP Heritage Match is typical of the National Match Course service rifle events fired at Camp Perry for more than 100 years. The CMP Viale Memorial Match celebrates the memory of 2nd Lt. Robert M. Viale, KIA, namesake of Camp Perry’s 1,000-yard range. The CMP Critchfield 2-Man Team match is named in honor of Ammon B. Critchfield, Adjutant General of Ohio and founder of Camp Perry, the largest rifle range in the nation. Critchfield would also be pleased to see those 1903 Springfields in action more than a century later on his range at the CMP Roosevelt Commemorative Match, open only to the Springfield and its predecessor, the Krag-Jorgensen rifle. The CMP Modern Military Rifle Match showcases modern, semi-automatic military style rifles like the non-accurized M14/M1A, the original lightweight AR15 and many foreign military semi-autos and commercial equivalents. If you have questions regarding the CMP Legacy Series, contact Christina Roguski at croguski @ thecmp.org, Shannon Hand at shand @ thecmp.org or Kim Filipiak at kfilipiak @ thecmp.org. Share the post "New CMP Legacy Series Events Added to 2016 National Matches"
We are often asked, “Can you recommend a good reloading book that picks up where the typical reloading manual leaves off — something that goes into more detail about the processes involved.” There is such a book, and it’s fairly recent: Metallic Cartridge Handloading: Pursuit of the Perfect Cartridge, by M.L. (“Mic”) McPherson. Released in 2013, this 425-page book goes into greater depth than McPherson’s popular intro reloading guide, Metallic Cartridge Reloading. McPherson’s latest reloading treatise covers all aspects of the reloading process: the cartridge case; maintaining, improving and loading the case; the seating and reading of primers; the loading of propellant; bullets and the loading of bullets; accurate load development; internal and external ballistics; bullet making and casting; and reloading presses. With hundreds of photos and illustrations, this book is a good reference for shooters getting started in precision reloading for accuracy. Compared to some other books on reloading procedures, McPherson’s new resource is more up-to-date, so it references more modern reloading tools and techniques. NOTE: This is NOT a reloading manual containing specific load data. 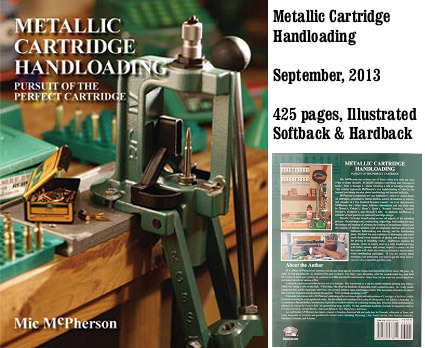 Rather, it is a how-to book that covers the process of cartridge reloading from start to finish. A great resource for handloaders although a little technical for beginners. I have been reloading for 40+ years and picked up some good ideas. — Loren R.
This is a book intended for people who have been reloading for a while. The book contains very detailed information about reloading. — Kaj H.
Mic McPherson, Technical Editor of Hand Loader’s Digest, is the author of numerous firearms resource books including Metallic Cartridge Reloading and Accurizing the Factory Rifle. He has written scores of articles for leading gun periodicals including Precision Shooting, The Accurate Rifle, Rifle Shooter, and Varmint Hunter Magazine. Mic also served as an Editor of the 8th and 9th Editions of Cartridges of the World. Share the post "Pursuit of the Perfect Cartridge Book by Mic McPherson"